Home / Alkaline Living / Why Detox? The word, “detox,” has become a household and a socially popular word in our culture today. Whether you are at the grocery store, the gym, watching TV ads/infomercials, reading magazine articles on health, having health conversations with others, etc., you will more than likely read or hear the word “detox”. The problem is that very seldom do we hear any clear definition of what it means to detox. As a result, it creates a lot of confusion in people’s heads and you may be confused about it as well. It is the process of eliminating toxicity in the body that has accumulated in our tissues and organs over time due to a plethora of environmental and dietary factors. So why has it become necessary for us to detox our bodies? 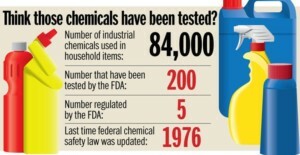 We are bombarded by 100’s of thousands of chemicals yearly and new chemicals are being introduced by the 100’s of thousands every year in our environment and food supply. There are numerous things that make our bodies toxic, i.e., heavy metals, organic chemical compounds, cosmetics, pesticides/herbicides, carpets, shampoos, soaps, detergents, playground equipment, water sources, cleaning supplies, industrial plants, car exhaust, chemical plants, processed foods, and the list can go on and on. As a result, toxicity in our bodies is inevitable and stores in our organs, tissues, fat cells, intestinal tract, etc. over a period of many years/decades. It is this accumulative effect that allows our bodies to be sick and filled with disease(s) over time. Yes, it can feel overwhelming! Many individuals’ will initially get on a detox system for a short period of time while abstaining from as many food and environmental toxins, however, revert right back to bad habits after a 2 to 6-week detox protocol. This type of mentality defeats the purpose of getting on a detox program because it will not take long for the body to accumulate toxins and cause symptoms of disease again. The amount of exposure to daily toxins is so great today that a short-term detox will not do a whole lot for our long-term health. We must develop the kind of lifestyle that reduces environmental and dietary toxins as much as possible and to maintain it the best we can in the long-term. It is virtually impossible to eliminate all toxins in your life since you are exposed to them daily outside the home, BUT you do have the ability to reduce them in your home. You have the control to make your living environment less toxic and you control what you eat or do not eat. Having control in your home is the good news and gives you the ability to live a healthier life! If you are dealing with something chronic and terminal, you have no choice but to do all you can to reduce your exposure to toxins. A body that is too toxic will not have the ability to heal. A new lifestyle that allows the body to detox daily in the short-term and long-term gives you the best opportunity to heal from disease and/or prevent disease as well. Did you realize the body has its own natural detoxification system? Your organs excrete toxins on a daily basis and some of the main ones are your skin, lungs, liver, large intestine and kidneys. By sweating and deep breathing, you are actually detoxifying! So do more of that on a regular basis. Using a rebounder (mini trampoline) is one of the best ways to not only sweat but also move your lymphatic system which is basically the sewage system of the body- you always want that moving towards the exit. Hydration is key to neutralizing and removing acidic waste in the body. You may find this hard to believe but many people who have health issues are chronically dehydrated. Our body is mostly made up of water and so the only substance on the planet that hydrates the body is water. What’s the best kind of water to drink? Kangen water is our preferred choice as it is super hydrating which you can read more about HERE. 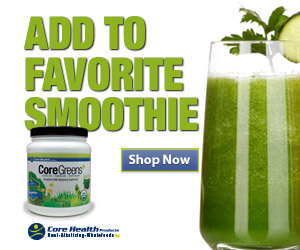 It is recommended to start at the lowest pH level of 8.5 and drink 1/2 to 1 oz. of Kangen water per pound of body weight. During a detox, it is best to abstain from any alcohol, energy drinks, sodas, bottled waters, tea, coffee, etc. as they are highly acidic and negates the benefits of drinking Kangen water. A word of caution, if you are taking medications, you must take your medicine 30 minutes prior to drinking this water because it may cause the medicine to metabolize faster in the body. If you are on dialysis, you must avoid drinking this water until your kidneys are functioning at healthy levels. Remember, start at the lowest pH level and move up after no detox symptoms occur. 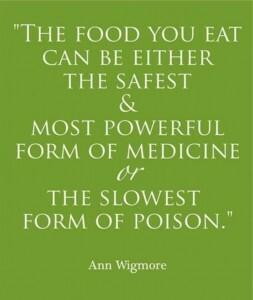 Ann Wigmore said it best- “The food you eat can be either the safest and most powerful form of medicine or the slowest form of poison. Your health is what you make of it.” Ann was one of the first to make juicing wheatgrass famous. She has single-handedly changed the science of nutrition with her ground-breaking discoveries- juicing greens being one of them. Ann is one of many brilliant minds whose incredible knowledge has transformed the lives of so many but today, has become lost and drowned out by other interests. Let’s revive juicing for detoxification and healing! Juicing, not blending, provides a maximum amount of nutrition through minimal processing and digestion. It gives your body rest as your stomach doesn’t have to work at extracting nutrients while your gut can repair from the flood of phytonutrients. The liver, our main detoxification organ, cleanses from being overworked since it’s job is remove toxins from the food you consume. You’ll feel full because the cells of your body are receiving pure energy. Yes, energy that you can feel! Juicing gives your body a reset. A 3-day juice detox is the perfect way to begin where you solely feast on nutrient rich juice but if you must snack, choose raw organic fruit- bananas are an excellent choice. Then, slowly introduce food back with fresh fruit and salads. Your new habits will begin to take shape! Juice is the liquid and about 90% of the nutrients from the fruit or vegetable. When made fresh and kept raw, those nutrients stay intact. Juicing is the easiest way to get phytonutrients in their most absorbable form straight to the bloodstream. There is little, if any, digestion required. Since juices are predigested by the juicer, the body can shift its healing efforts to other more critical efforts. 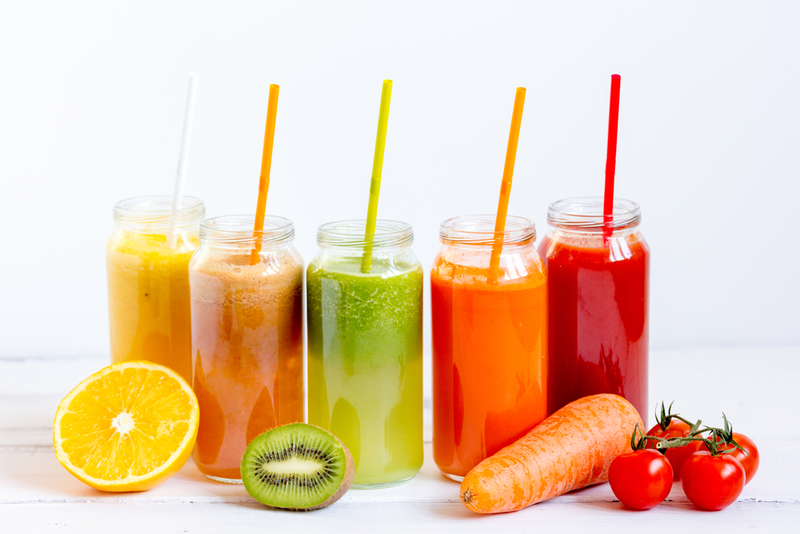 The main purpose of juicing is to repair and renew. In addition, the enzymes are alive and aid not only to make digestion and all other metabolic processes work, but also help repair our DNA and RNA. 3 Day Juice Detox = 6 nutrient rich juices daily along with water! Admittedly this is not a scrumptious, mouth-watering recipe. However, when the digestive system needs a rest and a cleansing, this eye opening shot will help detox the liver and stimulate the gall bladder. Since the liver is the major detoxifying organ of the body, debris often accumulates in the gall bladder. A shot like this one will build body tissue and help with better assimilation. If you have a high-powered blender, such as a Vitamix, chop up the lemon and add the remaining ingredients. Blend at high speed for 30 seconds. Filter with a sieve and enjoy! Otherwise, juice the lemon and blend in the remaining ingredients. Do not eat for 60 minutes after your shot. If you have gall bladder problems, you may want to start slowly and only sip a few ounces. For the following juices, place all ingredients through a juice extractor and drink. Besides re-hydrating the body and providing the body with amazing juices, you must clean the gut! What you may not know is that many diseases begin in the gut. Any time you eat cooked and/or processed foods it causes lots of stress on the digestive system and often times the food is not completely broken down and enters the general circulation through the gut wall/lining. Once this happens, it triggers an immune response in the body and causes lots of toxic waste to be stored throughout your tissues and organs. Over time, poor digestion leads to a gut full of toxins and may lead to weight challenges, many intestinal diseases, immune disorders and potential links to mental illness. If you want to know more about poor gut health and its relation to disease, read the articles- Can’t Lose Weight, The Answer Is In Your Gut and The Gut-Brain Connection. 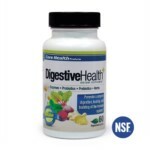 Our Digestive Health provides you with prebiotics, probiotics, minerals and plant based enzymes to help cleanse the gut, repopulate it with good bacteria and assist in the digestion of your foods. We recommend taking 3-6 capsules daily during a detox along with drinking plenty of water and eating plenty of soluble and insoluble fiber because constipation may occur for some. Digestive upsets are symptoms of repopulating the gut with good gut bacteria. Do not let these symptoms discourage you, you can either press on until symptoms reside or cut back on the recommended dosage provided above. Keep in mind that until your gut is cleaned out, you will limit your body to detox and also reduce the proper absorption of the nutrients you will be eating daily. Following a 3 day juice detox and introducing foods back into your diet, it is best to follow an 80% alkaline to 20% acid ratio at each meal to continue the process of detoxing and to help you get to a better pH balance. So your plate needs to be 80% alkaline foods and 20% acidic foods. Not sure what that means? 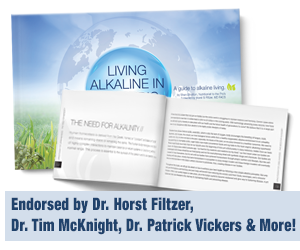 Check out Why Alkalize to gain a better understanding of why pH balancing is so important. If you want great alkaline recipes, our book, “Living Alkaline In An Acidic World” has simple easy recipes that cover breakfast, lunch, dinner and snacks even with a kid approved section! As a disclaimer, this article is not intended to replace any direction given to you by your physician. The goal is to simplify things regarding detoxification and to give you simple steps to begin that process and to show you some simple lifestyle changes you can make to live better and healthier. Those who are chronically ill must consult with a trained functional medical doctor who can monitor you while taking these steps to ensure your safety. The chemistry of drugs and food is complex, so be under the guidance of a trained professional who knows both sides. For those who are not on any medications or have any major health issues, then full steam ahead!! Cheers to living a more alkaline, toxin free lifestyle!